Fritz Lang in Hollywood, running at New York's Film Forum from January 28th to February 10th, offers the chance to get re-acquainted with some of the meister's most celebrated films, but also with a few which may have eluded even his fans. What follows are more-or-less random thoughts on three espionage/resistance thrillers, two from during the war, one from immediately after. It was a very productive time for Lang, his forcible uprooting from his homeland leading him to serve the war effort with intense, committed thrillers whose propaganda purpose wasn't so much disguised as woven through their dramatic content. Hangmen Also Die! (1943) is the earliest of the three, and in some ways the closest in style to the late German movies such as M (1931). The compositions still seem like carefully-laid traps to ensnare the characters, who get pinned down by beams of light, caught in the glare of a malevolent look, or hemmed in by the mesh of walls and doorways. It's the most overtly propagandist of the wartime films, with less of a mission to entertain in commercial terms, more of a need to horrify and alert the audience. It still boils with urgency and sincerity. 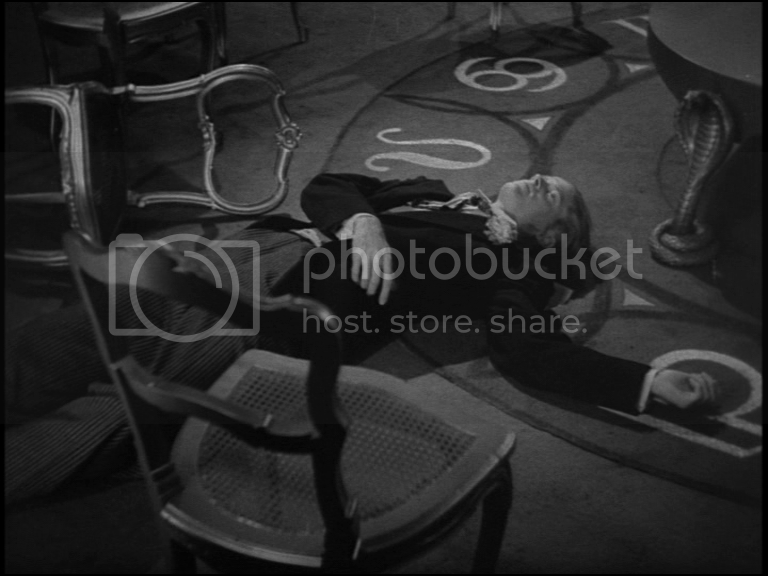 When Lionel Stander throws himself through a window to escape interrogation, the splinters of flying glass are animated drawings—recall the animated explosion at the start of Testament of Dr. Mabuse. The effect is strange, not comical. The film features one of the strangest incidences of Lang’s oft-repeated innocent men, falsely accused scenario: to prevent reprisals by the Nazis, the Resistance group frames a Nazi agent for the crime of assassinating Heydrich. And, as suspicion falls on this blamelessly loyal Nazi, a weird sympathy develops. We feel for this monster, who is so terrified by the incomprehensible allegations directed against him, and the uncanny evidence slowly stacking up to incriminate him. It isn’t fair that this should happen to him! This may be one of the most twisted examples of audience manipulation in all cinema. Remember that Lang himself was interrogated by police after his first wife’s suicide (under somewhat suspicious circumstances). Wife-killers, often sympathetic, feature in a number of Lang films, notably Ministry of Fear (1944), where hero Ray Milland has euthanized his sick spouse and suffered a nervous breakdown. Released from the psychiatric ward into a nation at war, he’s plunged into paranoid fantasy as bizarre as any Hitchcock espionage yarn. Indeed, the film seems simultaneously an attempt to capture ground taken by Hitch (who learned a lot from Lang and achieved far greater commercial success in America), and a transplanting of the Mabuse genre to English soil: there’s even a bogus séance. Original author Graham Greene saw the film as a travesty of his work, and it's certainly goofier that his glum "entertainments": when Milland happens to guess the weight of the cake at a village fête, he's suddenly a marked man, and everybody in the frame becomes a devilish agent of foreign powers. The flip into nightmare territory is instantaneous and preposterous, but weirdly compelling. 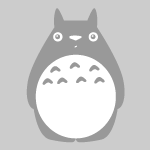 Most Lang movies demand to be taken absolutely seriously. Laughter is fatal, and usually the leaden comedy relief is enough to ensure there won't be any. But Ministry is pretty light and sprightly, for all the death and terror. Cloak and Dagger (1946) in particular deserves to be better known. 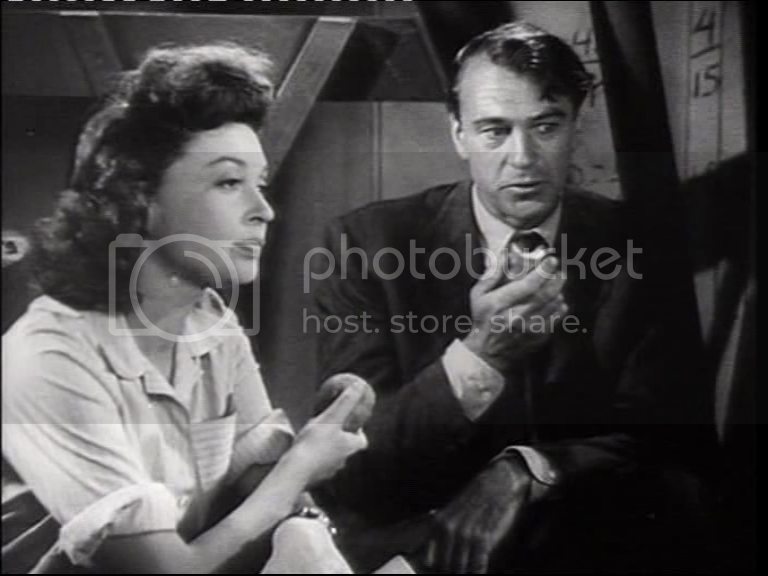 Often derided for its casting of Gary Cooper as a nuclear physicist (on a mission to stop the Axis powers developing the bomb), it's just as convincing in its way as his professor in Hawks' Ball of Fire. Unconventional, but quite acceptable once you get over the shock. Coop has a workshop with tools on the walls, and he carries an apple to remind us of Newton. "By releasing the power in the atom, we can turn this apple into a bomb!" he argues, not too convincingly, but it's a great set-up for later in the film when, working undercover in fascist Italy, he has to source some food for himself and his lover and fellow agent: "Lots of energy in apples!" he says, with that unique Cooper sly schoolboy air. As Cooper's partner, the film casts Lilli Palmer, and there's an intense sexual chemistry between the two. The movie claims to be "introducing" her, though she'd been in films for thirteen years at this point. She's working for the Italian partisans, and her duties include both combat missions (we first meet her knifing a fascist soldier) and prostitution. For, if the ideal Lang hero is a sympathetic wife-killer, the ideal heroine is a prostitute. The director was, incidentally, an enthusiastic customer of the professionals for many years. At any rate, Palmer is moving and wide-eyed and no more Italian than Cooper is a scientist, and who cares? The film's most celebrated sequence, maybe its only celebrated sequence, though it boasts the best love story in Lang's oeuvre, is a protracted fight in which Cooper deploys the full array of dirty tricks presumably taught him in some offscreen OSS training, against fascist agent Marc Lawrence (a reliable pock-marked sleaze in countless 'forties movies), all while trying not to cause a disturbance in the street outside. 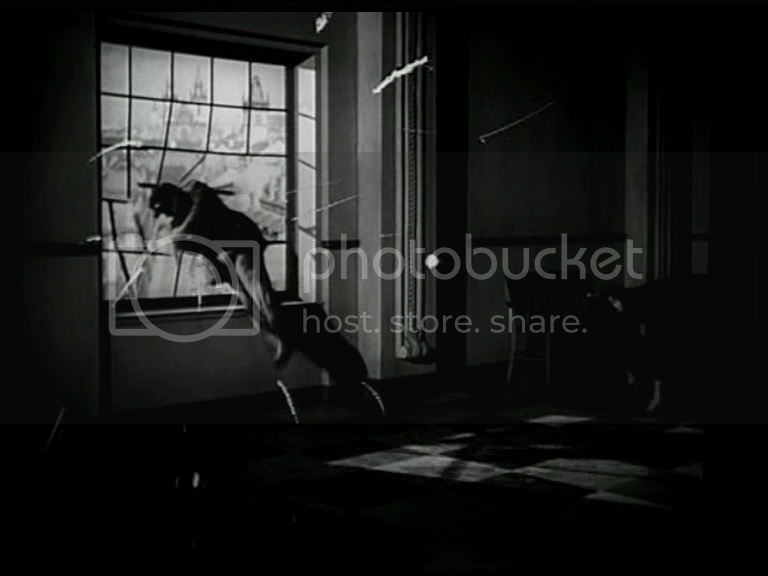 It's a near-ringer for the famous silent killing in Hitchcock's Torn Curtain, and it's probably the superior sequence. What swings it is the street song drifting through the doorway, providing jaunty counterpoint to the eye-gouging and shin-kicking, reaching its crescendo just as Cooper throttles the life out of his opponent. Very, very suspenseful, wince-makingly savage, morbidly inventive and elegantly worked out. The screenplay is by Albert Maltz and Ring Lardner Jr., both shortly to be blacklisted as members of the Hollywood Ten: their left-wing views are sprinkled throughout as liberal-humanist compassion and a thoughtful attitude to the atomic age just beginning. Sadly, the film was truncated by Warner Brothers, who removed the final stage of Cooper's descent into Hell, a mission to Nazi Germany itself. 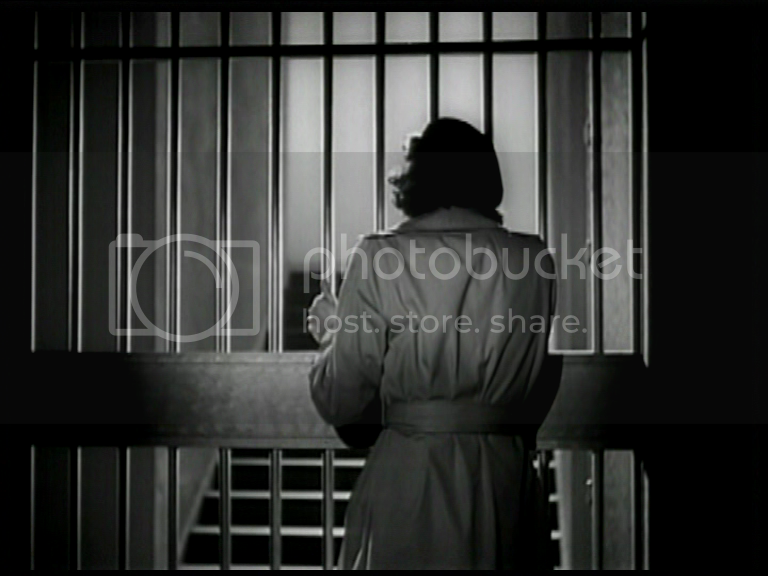 The strength of the love story may have worked against the film, convincing the suits that Lilli Palmer's exit was the proper place for a fade-out. There seems little hope of the deleted third act ever being rediscovered: a loss to be lamented. Thanks for writing about these films, all of them terrific. I’d been hoping for a widespread rediscovery of “Hangmen” when Tarantino cited it as one of the major influences on “Inglourious Basterds,” but that didn’t seem to happen, unfortunately. “Hangmen” is my favorite of the three you write on; I’m impressed by how Brechtian it feels in its handling of current events (ditto the film’s moral gray area, which you note quite well). 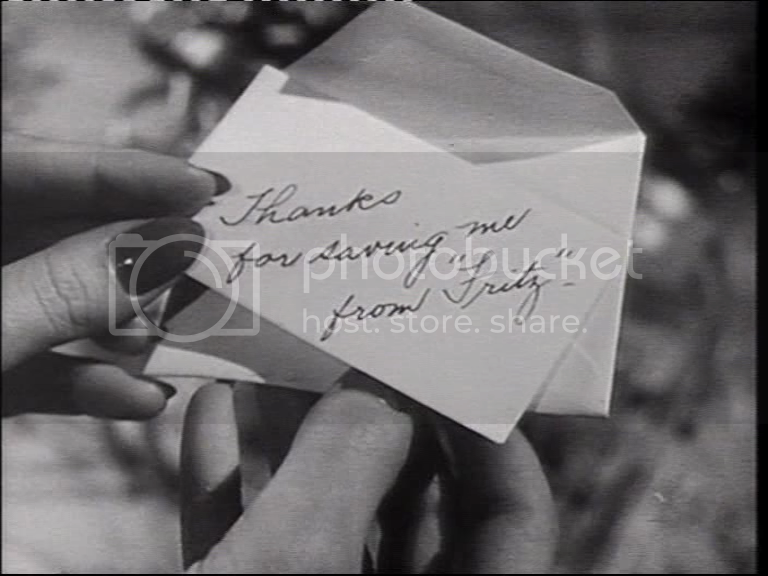 Between this film and “You and Me,” Lang managed to work with both Brecht and Kurt Weill. Does anyone know if there was another filmmaker who collaborated with both of them? Inglourious Basterds could and should have sparked an interest in all sorts of things, including the films and actors referred to directly in it, which would have done something to atone for the movie’s violations of basic good taste and judgement, imho… alas, no retrospectives of Brigitte Horney ensued. I’m certainly not away of another active collaborator with Brecht and Weill… apart from straight adaptations like Pabst’s film of The Threepenny Opera, which the original authors didn’t work on. Actually Brecht wrote new material just for the Pabst film, such as the Queen Victoria Parade scene and the Street Singer’s Farewell song. On the other hand the music score of that film was re-arranged against Weill’s wishes and without consulting him. So Lang was the only one who worked with Weill(separately) and Brecht(separately). I’d love to see all these films. Excellent write-ups. I’ve actually seen “Ministry of Fear” but it was so long ago that I don’t really remember any of it. Thanks. The plot of Ministry always eludes my memory, but stand-out scenes are etched in my mind. It’s really a pretty irrational narrative, and like a dream, it stays with me in fragments rather than as a coherent whole. For anyone interested, and able, Ministry is actually playing on TCM tomorrow at 9 AM EST. Hopefully I’ll be able to catch it myself.